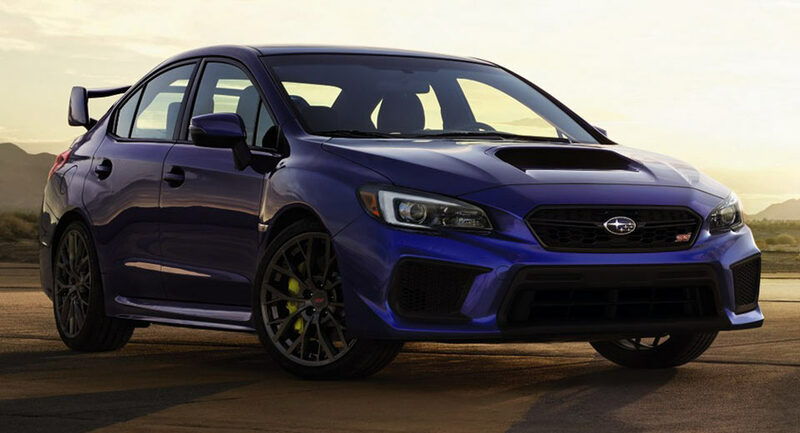 Subaru has given the WRX and WRX STI a nip and tuck for the 2018MY that covers several areas, but not the engines. 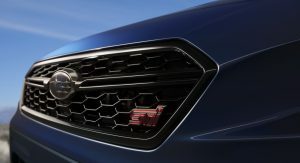 On the visual front, the two performance models benefit from a restyled front fascia, highlighted by a more pronounced grille and larger lower openings. 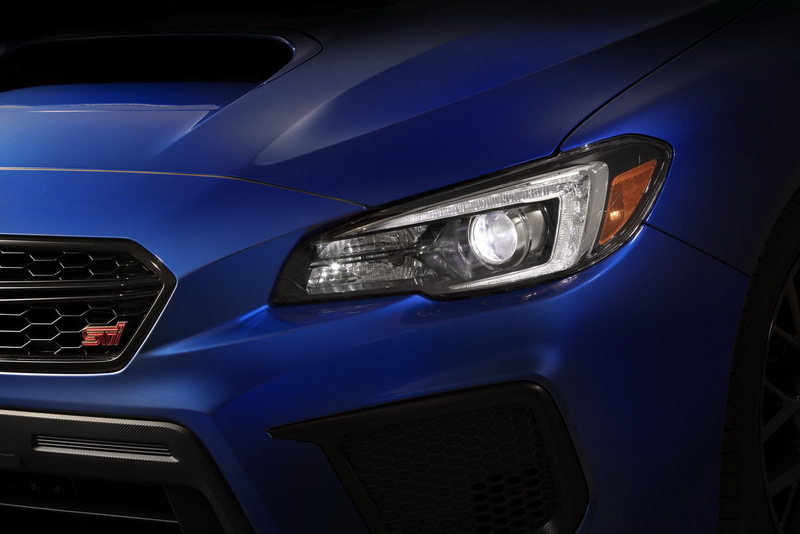 In addition, both get new roof rack mounting brackets for improved visibility, redesigned wheels, while the WRX Limited and STI sport new LED adaptive headlights. 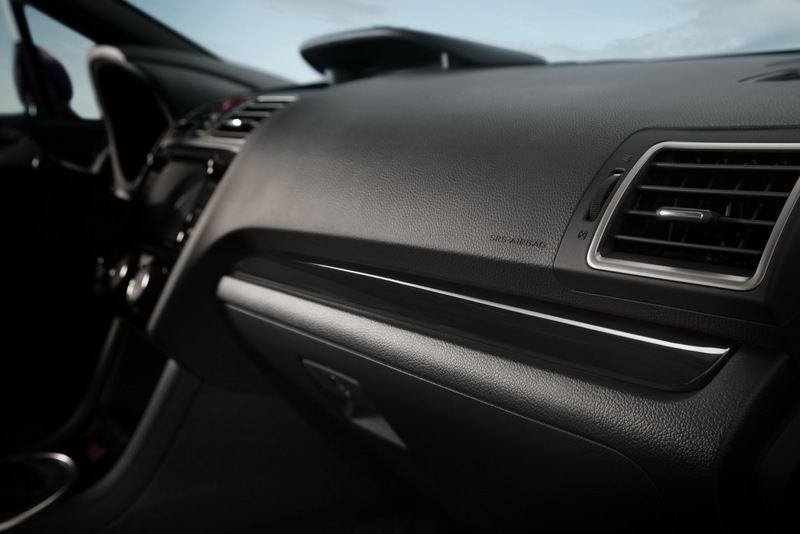 Inside, both models come with upgraded materials, new door grips, rear seat armrest with cup holders, and faster remote trunk opening. 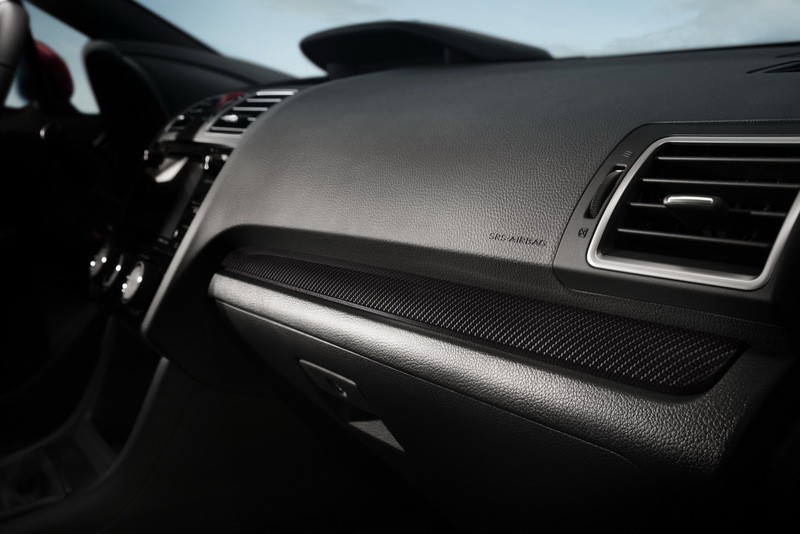 Subaru has also reduces noise by adding thicker door glass, foam filling the windshield header beam, and revising the door sealing. 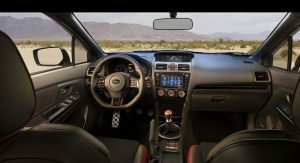 The list of interior updates continues with a 5.9-inch multi-function display that comes to replace the 4.3-inch unit, standard heated side mirrors on the WRX, power driver’s seat lumbar adjustment for the WRX Limited, and the Subaru Starlink 7.0-inch multimedia unit on the WRX Premium. 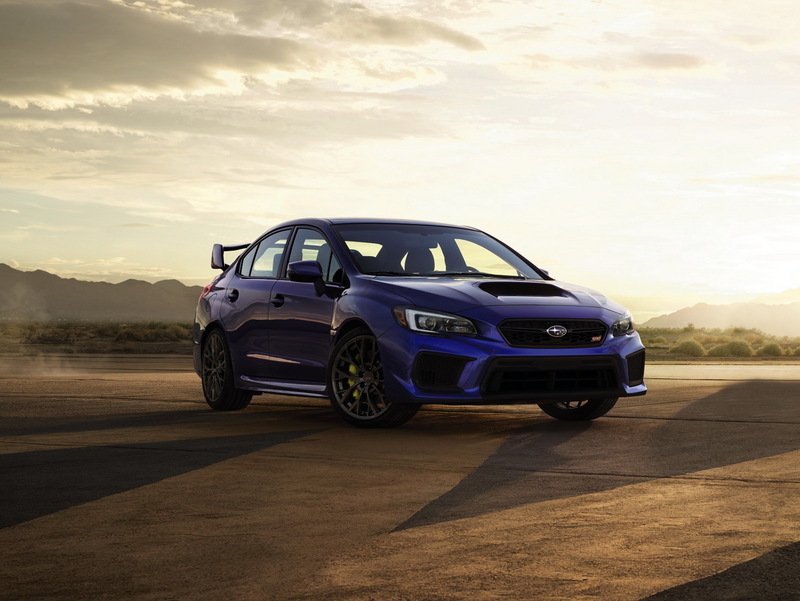 Besides the aforementioned improvements, the 2018 Subaru WRX also features a re-tuned suspension on both axles, revised electric power steering, and enhanced shifter feel for the 6-speed manual gearbox. 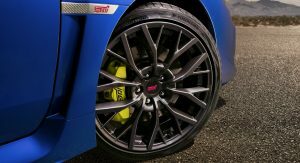 Additionally, the car can be specified with a new optional Performance Package that adds red-finished brake calipers, upgraded Jurid brake pads, Recaro 8-way power seats, and removes the moon roof for weight reduction. 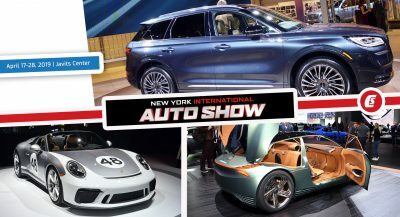 Power continues to come from the same 2.0-liter direct-injected turbo’d Boxer engine that develops 268 horsepower and pushes it to the Symmetrical AWD system through a standard six-speed manual, or an optional Sport Lineatronic CVT. 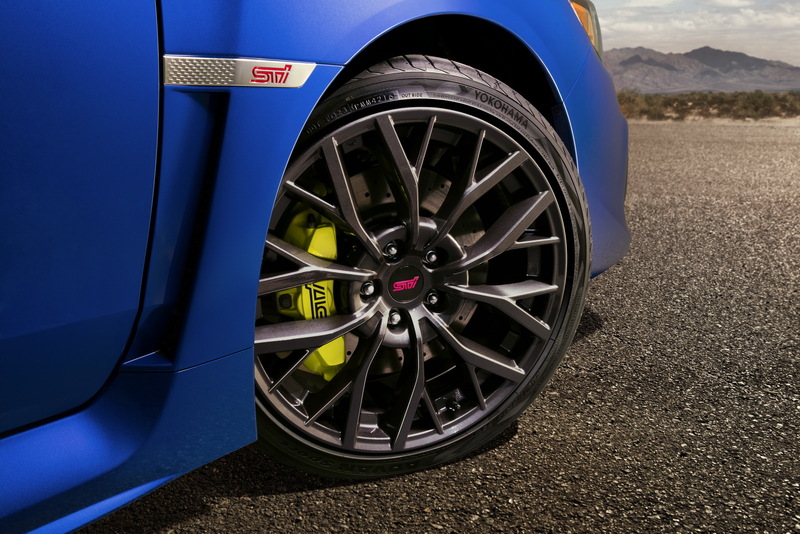 As for its more potent sibling, the WRX STI, Subaru has revised the suspension and significantly updated the brakes, which now use stronger monoblock 6-piston calipers at the front, and 2-piston calipers at the rear, and larger, drilled rotors all around. The DCCD system, which used a mechanical and electronic center limited slip differential control, now benefits from electronic control for a smoother and quicker response. 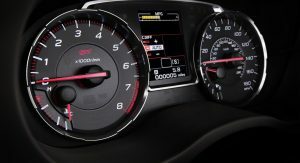 The 2.5-liter turbocharged Boxer lump remains unchanged, meaning that it is still good for 305 horsepower. 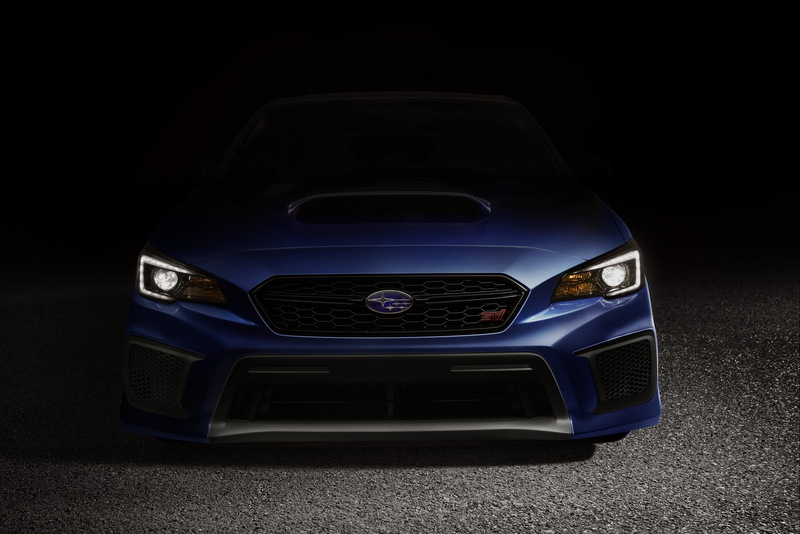 The ‘rally-bred performance technology’ is still offered on the tweaked STI, and it includes Multi-Mode Vehicle Dynamics Control, Active Torque Vectoring, and Multi-Mode Driver Controlled Center Differential Symmetrical All-Wheel Drive. 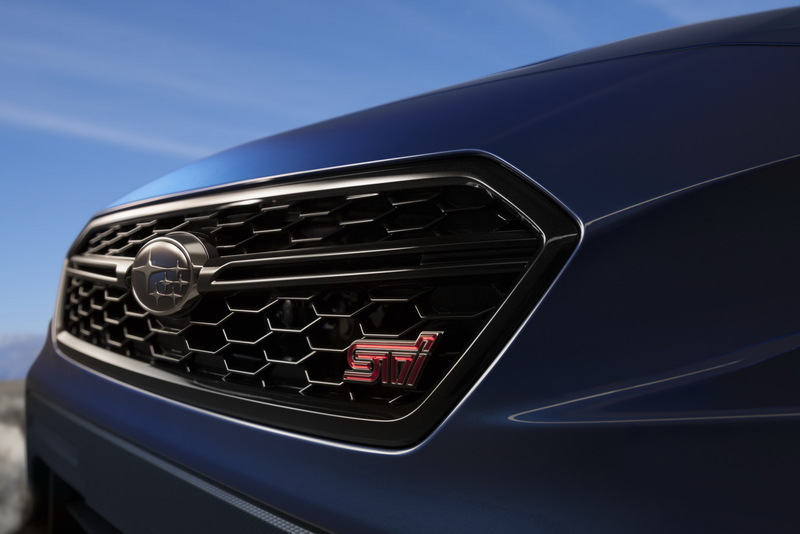 For enhanced frontal collision performance, the automaker revised the front structure of both models. 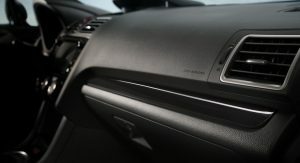 Finally, the Hill Holder and Hill Start Assist functions have been replaced by the Vehicle Hold (AVH) on the WRX Limited, and there is also a new EyeSight Assist Monitor (EAM), which uses the LED indicators to display the EyeSight status and alerts on the windshield, on cars equipped with the optional safety pack. 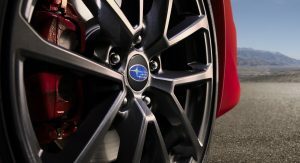 Just put the wrx & sti on the new platform already Subaru. 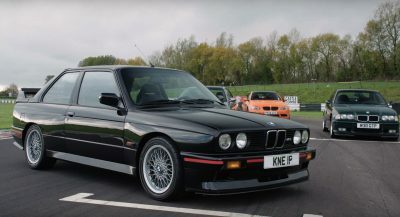 The M3 is the sharpest of its class, that’s what comes out of most tests… In fact it’s often described as too harsh and too spiky. i dont know where you got sharpest of its class from, because is not. also its known to have bad steering feel and handling. Maybe in the reviews, that you don’t seem to watch ? 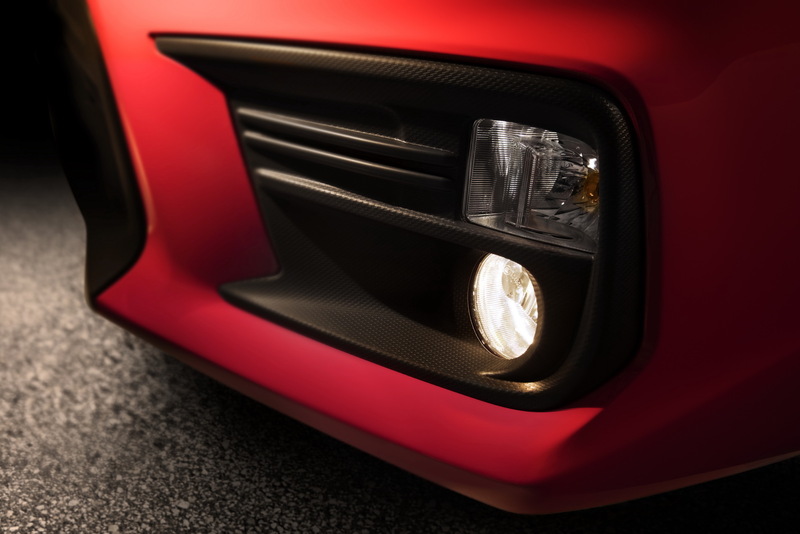 Chris Harris says so, Top Gear Magazine says so, Steve Sutcliffe too: that’s its main advantage over the competition, its sharpness,both for the cornering, the gearbox and the engine. The M3 F80 is absolutely not know for bad handling, you couldn’t be more in the wrong. 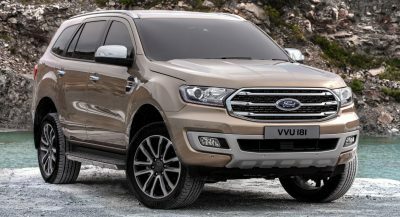 Maybe for its bad ride quality, relatively bad engine sound, the lack of grip under power, the lack of steering feel, but definitely not “bad handling”. 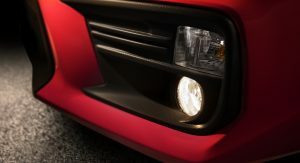 Well watch head2head where bmw get beaten by muscle cars. We two have also discussed about this on YouTube (the M4 vs the C63 S Coupe in particular). It’s a curious case the M3. 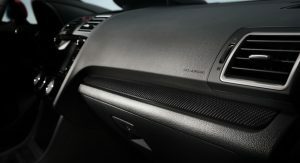 They have said it’s spiky etc but they have also said it’s a softer experience than the previous two generations. Which I know can be seen as a contradiction. 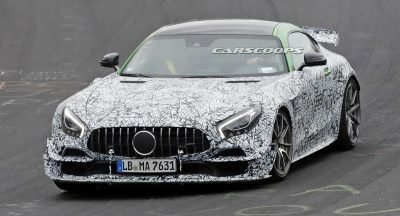 Maybe they mean that it doesn’t steer the emotions as much as the previous cars. That it lacks their character. 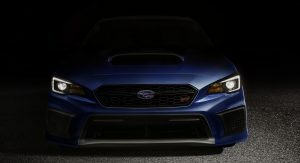 They lost a lot of their mojo when they began designing them for the US market and the failure to produce the FA direct injection engine for the Sti…….it’s just getting old now, homologation was what kept STi interesting and that era is dead. 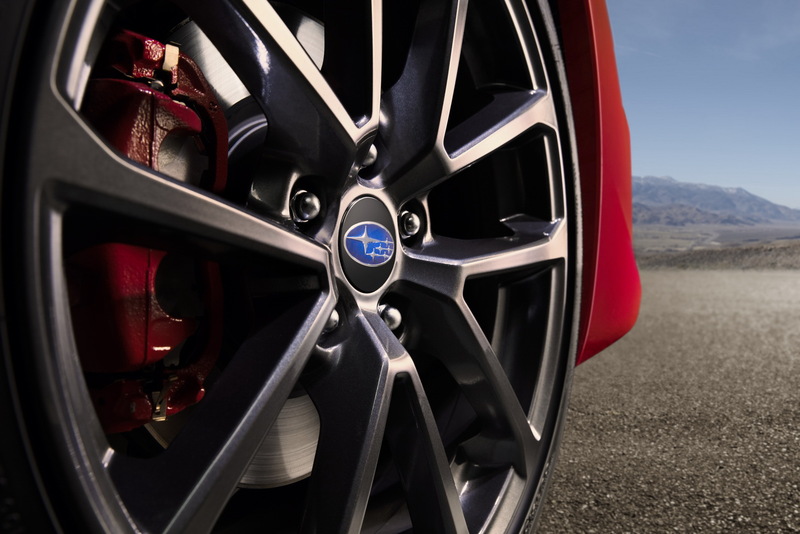 Fact: the STi drivetrain was a big deal in 2004 at 300hp/300lb-ft. That was headline news in response to the EVO landing in north america. 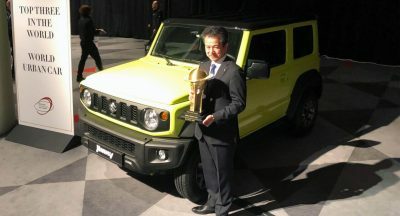 13 years later…we have (maybe) a 5hp bump, really? 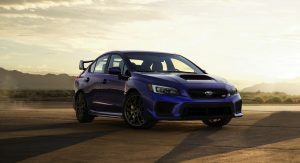 I don’t know about you folks but i bought a brand new ’05 Sti and drove it for 105k in 7 years, its been 5 years since selling it and this “debut”, “revamp”, “refresh” is no better than that car! 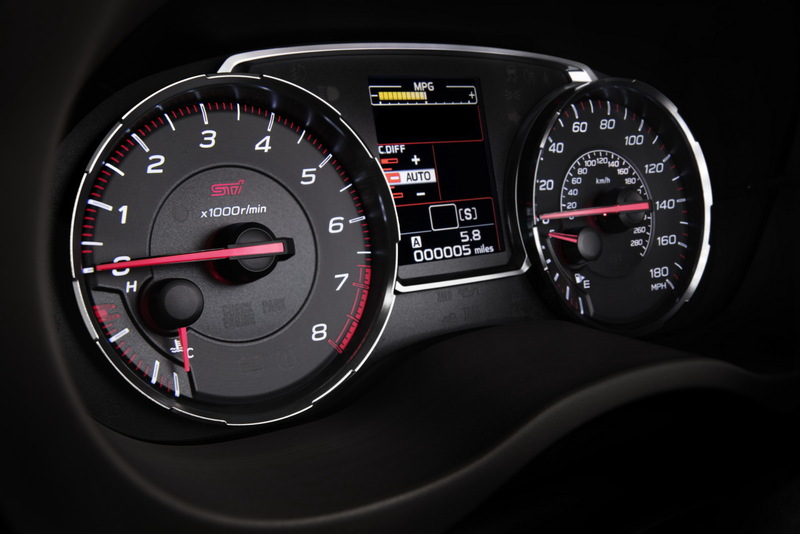 This “new” car has a nearly identical drivetrain AND costs nearly $10k more!! I don’t get it. Cool. 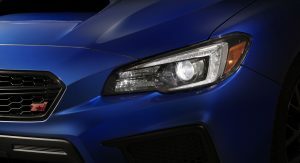 In an Impreza STi kind of way.